You can find the entire 10 pages of the comic here. It is pretty badly drawn and not all that compelling, but it does have a couple of moments. Like when he discovers gold and plans on sending money home. It picks up exactly where I left off in yesterday’s Daily Create. 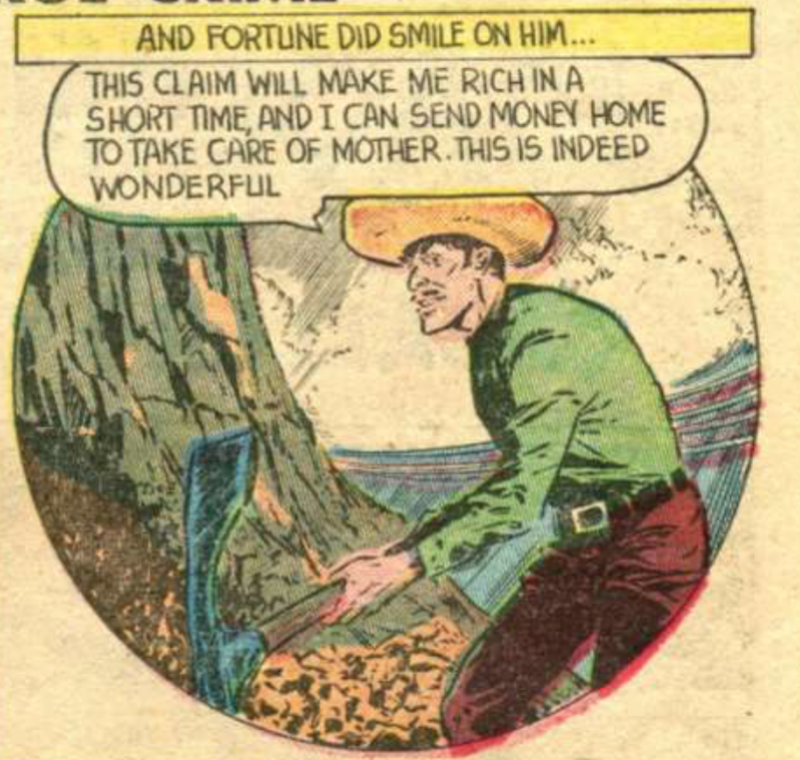 There is also the panel where he is getting horse-whipped after his brother is lynched. The idea of using Murrieta as a lesson to all Mexicans is telling, as well as the avarice for gold that undergirds the crime is pretty in-your-face, and not all that sympathetic towards the miners. Also, Murrieta is even whiter than the European-American lashing him, which is interesting. 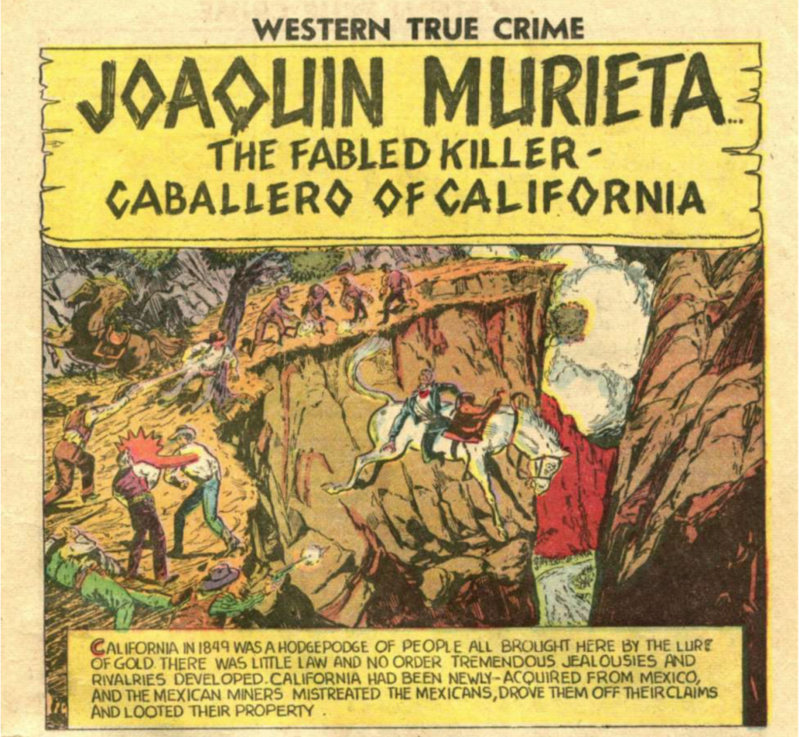 Can’t you here it: “My name is Joaquin Murrieta, you killed my brother, prepare to die!” And then there is the perplexing panel wherein Murrieta pretends to throw himself from a cliff rather than being taken by the Rangers. What’s strange is the text, or what I can make out of it. 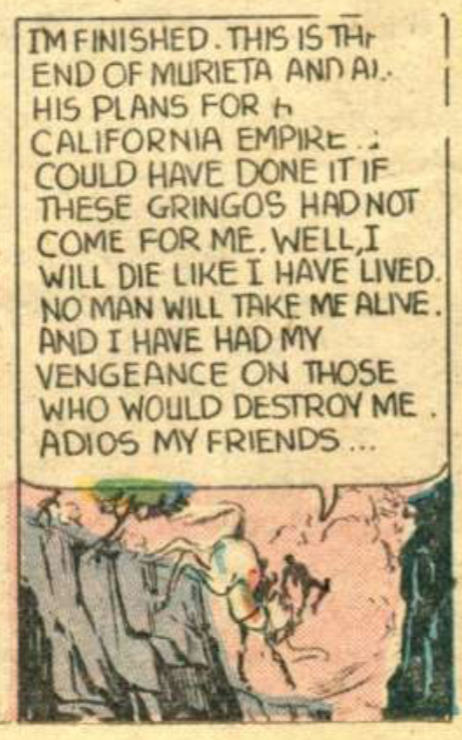 The whole idea that Murrieta was actually planning to reclaim a California empire that was taken from Mexico after the Treaty of Guadalupe Hildago is quite aspirational? Certainly makes him more than just a vengeful fugitive, he also becomes a great patriot and defender of the people. 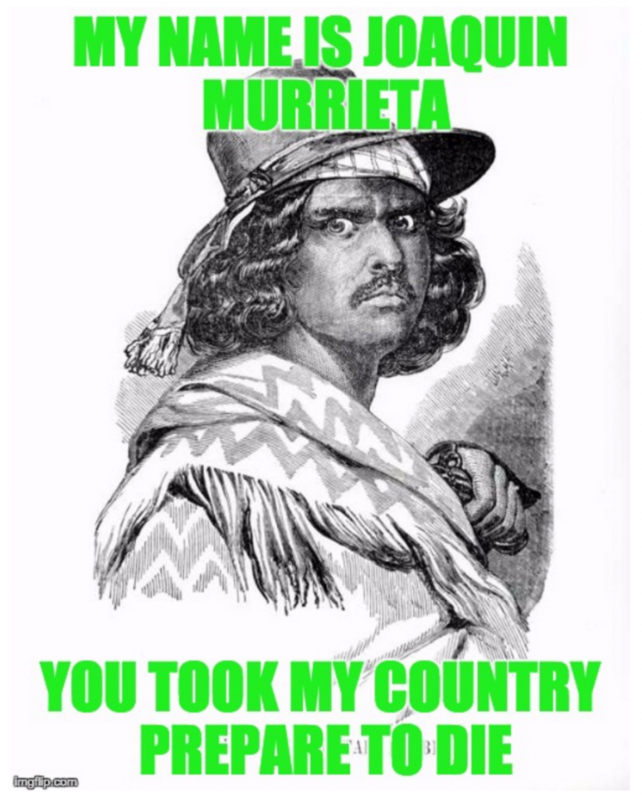 Maybe this is more appropriate: “My name is Joaquin Murrieta, you stole my homeland, prepare to die!” I can’t get enough of Murrieta, and if you feel the same read Sandy Brown Jensen’s amazing take on yesterday’s Daily Create. 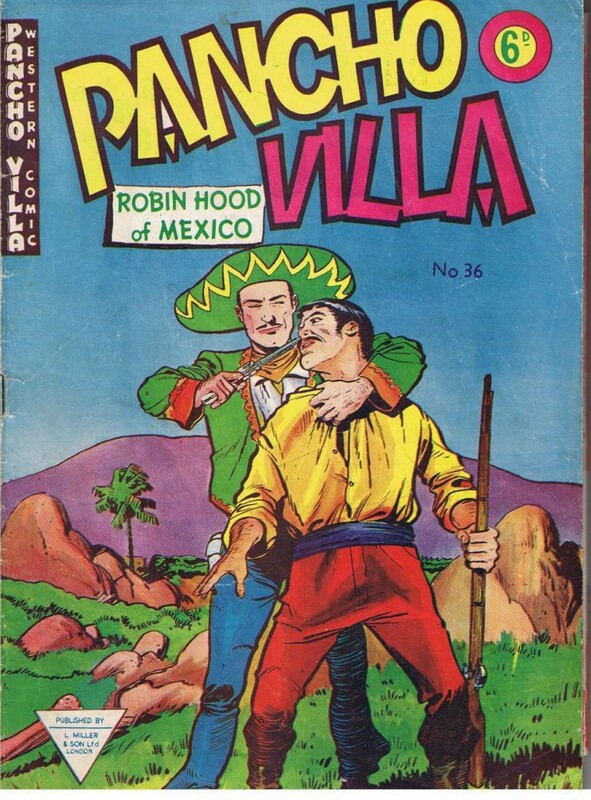 But as I searched for sites and images using the term “Robin Hood of Mexico” I found another version of the Mexican Robin Hood, and this one also came in the form of a comic: Pancho Villa. This is a pretty beautifully drawn comic, and the style reminds me a bit of some of Robert Crumb’s stuff. 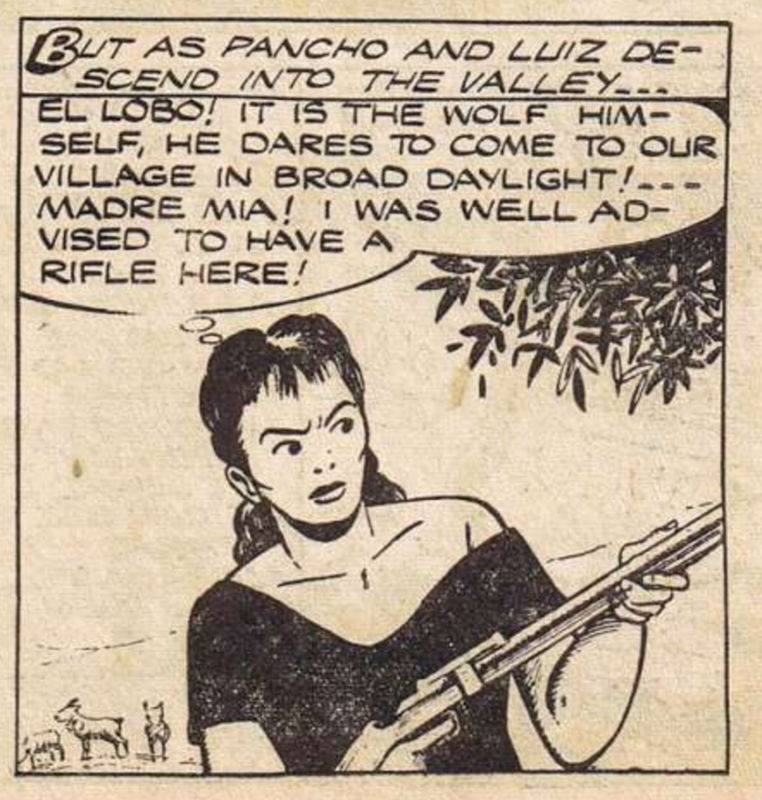 The first story in the comic is excellent, it features Pancho Villa and and his amigo Luiz facing off with a marauding, fake Pancho Villa that is traveling from town to town pretending to be the bandit, and plundering along the way. 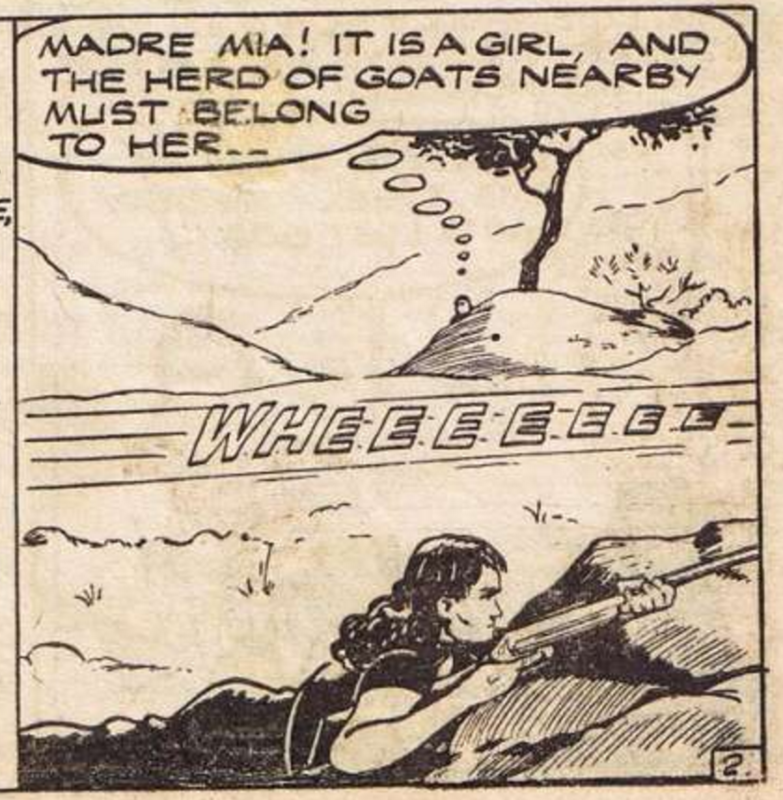 I guess Villa was a victim of his own fame 🙂 Coolest part of the comic is that they face-off with and then befriend/enlist a local goat herder named Maria to help fight the fake Villa. What’s cool about Maria is she may be a nod to the Adelitas of the Mexican Revolution, or the women soldiers (Soldaderas) who represented a significant force in the revolution. It’s not only a man’s revolution! Villa spent much of his youth helping out on his parents’ farm. After his father’s death when Villa was only 15 years old, he became head of the household. With his new role as protector of his houshold, he shot a man who was harassing one of his sisters in 1894. He fled, spending six years on the run in the mountains. While there, he joined a group of fugitives and became a bandit. And his role as a revolutionary general during the Mexican Revolution is legendary, as was his ability to drum up international publicity for himself and his cause through U.S. journalists like John Reed (particularly his essay “The Rise of Pancho Villa”), Hollywood newsreel films, and more. Robin Hood with an early understanding of the power of new media! 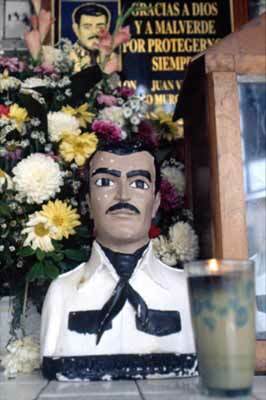 The existence of Malverde a.k.a. ‘El Rey de Sinaloa’ is not historically verified. According to Patricia L. Price, he is said to have been born Jesús Juarez Mazo, growing up under the rule of Mexican dictator Porfirio Diaz, whose local supporter Francisco Cañedo ran Sinaloa. 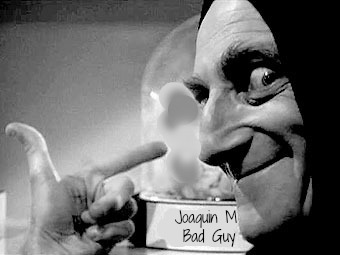 He is supposed to have become a bandit after the death of his parents, which he attributed to their poverty. His nickname Malverde (bad-green) was given by his wealthy victims, deriving from an association between green and misfortune. According to the mythology of Malverde’s life, Cañedo derisively offered Malverde a pardon if he could steal the governor’s sword (or in some versions his daughter). The bandit succeeded, but this only pushed Cañedo into hunting him down. He is supposed to have died in Sinaloa on May 3, 1909. Accounts of his death vary. In some versions he was betrayed and killed by a friend. In some he was shot or hung by local police. His body was supposed to have been denied proper burial, being left to rot in public as an example. *Pretty sure this definition is apocryphal, but I like it much better than the more legitimate etymologies. Not to mention it fits nicely with the whole imperial subtext that is everywhere apparent. This entry was posted in digital storytelling, Western 106 and tagged dailycreate, ds106, Jesus Malverde, Joaquin Murrieta, Pancho Villa, western106. Bookmark the permalink. Can’t get enough of that wonderful stuff! Thanks for the kind nod to my story. I usually feel like I’m dropping blog posts from 30,000 feet–I never hear them hit the ground, and this was a version of hearing it hit. To address your observation of the whiteness of Joaquin Murrieta, remember he was called “El Rubio,” or “Blondie.” It was said he was a language mimic and could do a variety of English accents and could dress up and pass for a gringo. 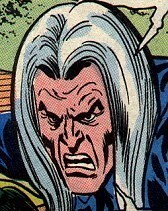 Not that I think that the comic book artists knew that; au contraire. But, as the kids say these days, just sayin’! 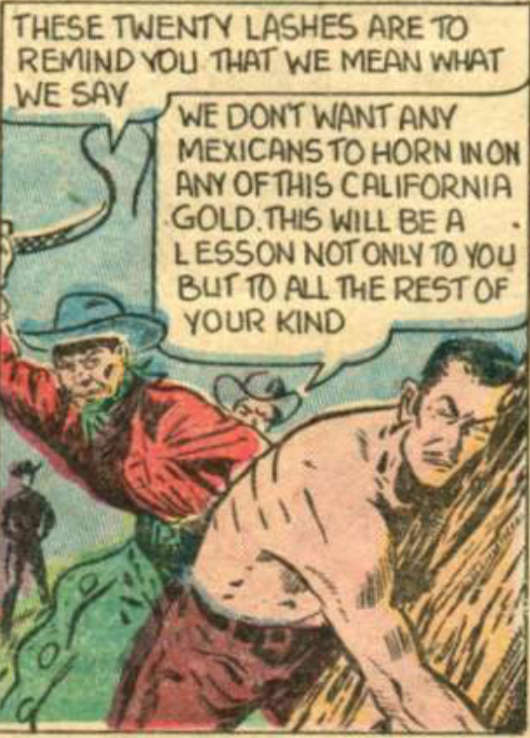 I’m fascinated with the Pancho Villa comic because it’s British. 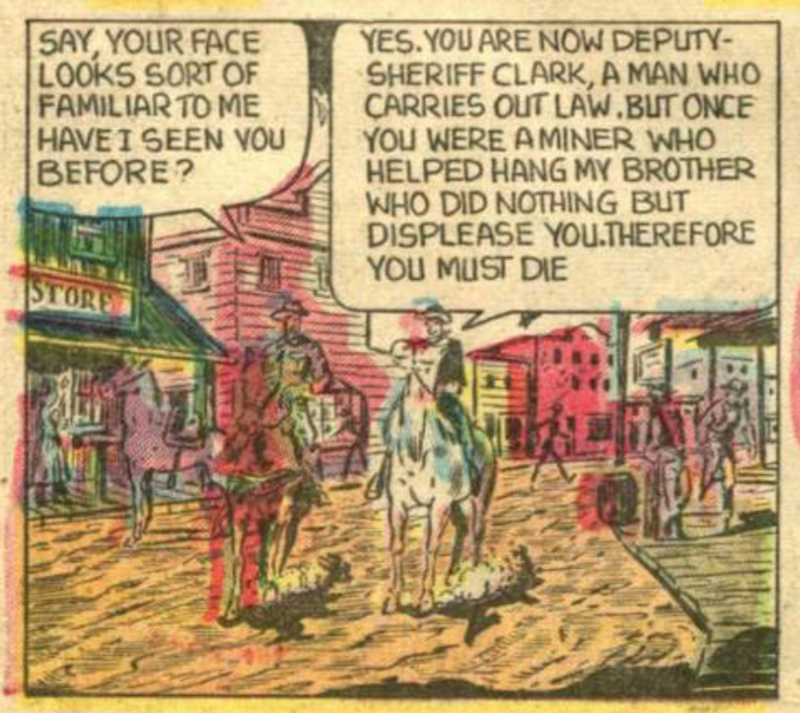 I should have known that Italians weren’t the only ones making westerns outside the US, but somehow it surprised me to see a UK comic of the genre. Apparently the publisher had several western books. Imperialism cuts both ways.